This article was originally published in The Construction Specifier (May 2018 issue). Achieving a beautifully finished floor that will last requires the use of a reliable method of testing for concrete moisture. Concrete holds moisture. As long as that remains true (it will always be true), the risk of a flooring failure due to excess moisture is very real. The costs of misreading the concrete’s moisture condition, and laying down finished floor products too soon, extend well beyond ugly staining or cracking. Often, undetected excess moisture shows up long after the construction project is completed, and this can make the cost to remediate quite significant. Detection of any excess moisture in concrete is best done up front during the original construction project. This will be your easiest, least expensive approach. 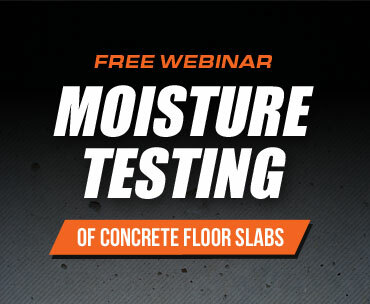 Of course, this begs the question: What is the most reliable, accurate, scientifically proven way to test for moisture in concrete? This question has for many years led industry and academia to search for and test methods that purport to measure the moisture condition of a concrete slab. Being able to utilize quantitative moisture testing methods that scientific research demonstrates are accurate and reliable – that is the holy grail for architects, specifiers, and flooring professionals everywhere. Frankly, the scientific research points to only one test method as a reliable, accurate indicator of a slab’s readiness for the flooring installation: the in situ relative humidity (RH) test, specified in ASTM F2170. And because of a recent update to this standard, RH testing is not only more accurate than other test methods, it is now much faster too. Lay out the historical context, from the development of early RH testing methods to the recent February 2018 update to the ASTM F2170 standard, based on the latest scientific examination into the RH test method. Clarify the impact that the updated ASTM F2170 standard will almost assuredly have on the use of other concrete moisture test methods. 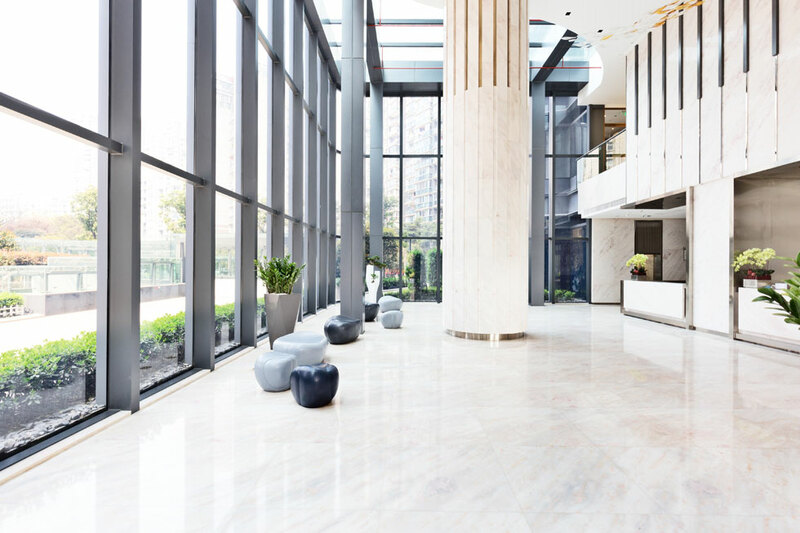 Explore some of the revised standard’s key benefits for architects and specifiers, especially in terms of ensuring favorable outcomes for their flooring projects. In 1929, research by the American Concrete Institute indicated that the RH of the air around concrete causes the slab to shrink or expand. Two researchers (Gause and Tucker) from the National Bureau of Standards drew on this finding and other related research in their 1940 paper, “Method for Determining the Moisture Condition in Hardened Concrete.” The team tested the use of an electronic hygrometer to measure the RH within the concrete itself. They found that RH varied by depth within the slab – a critical discovery for the development of in situ RH test methods. In their paper, the researchers also postulated that the internal RH is likely an important determining factor as to when it is safe to apply a finished floor product to the concrete surface. Another key discovery came in 1957. Portland Cement Association (PCA) researcher, T.C. Powers, determined that the variation in RH values at different depths throughout the slab was the factor “pushing” the transmission of moisture through the concrete. In the 1950s and 1960s, researchers at the PCA also developed, tested, and refined versions of hygrometers and RH sensors to measure the moisture condition of concrete, including using saturated salt solutions to calibrate the machines. While PCA had the resources to develop these large machines, their size and expense made them quite impractical for most uses in the field. Researchers at universities and industry groups around the world continued to examine the RH test method, both to refine it and make it commercially viable. It wasn’t until the 1980s and 1990s that their work began to yield practical results for the industry. The large hygrometer developed by PCA in the 1950s was the foundation for additional work in Great Britain and New Zealand. In the 1980s, a British industry association developed and published two industry use standards (BS5325, Code of Practice for Installation of Textile Floor Coverings, and BS8203, Code of Practice for Installation of Resilient Floor Coverings). By this time, the hygrometer was a small probe sealed in an impermeable box on the slab. The probe had to acclimate for 72 hours before taking the first reading. Then the standard required two acceptable readings 24 hours apart before the slab could be said to be ready for the floor covering. New Zealand associations soon developed their own standards, based on the British ones. Research done in the 1990s at the Technical University of Lund in Sweden looked into the depth that would provide the most meaningful information when placing RH sensors and taking moisture measurements in concrete. Typically, a moisture gradient forms, with higher moisture levels deeper in the slab. Prior to a flooring installation, lower levels of moisture are nearly always present near the slab’s surface. This fact makes it critically important to know the specific depth to place RH sensors to get an accurate indication of how much moisture the floor covering will actually “see” after installation. The Swedish researchers found that the sensors should be inserted at 40% depth in a slab drying from one side, and 20% depth for a slab drying from both sides. With these precise, scientifically validated metrics to guide the use of the in situ RH test in concrete, professional standards for use in the construction industry were developed. The Nordtest, used in Sweden and Finland, was first published in 1995. The Nordtest became the foundation for ASTM International’s initial publication in 2002 of ASTM F2170, Standard Test Method for Determining Relative Humidity in Concrete Floor Slabs Using in situ Probes. Do RH Sensors Need 72 hours? Until 2018, the ASTM F2170 standard required a 72-hour wait period before official readings of the RH sensors could be taken. The purpose of this wait was to allow the sensors to equilibrate fully within the test hole. Of course, this meant three full days of waiting before getting the information needed to take a specific action based on the test results. In 2014, ASTM International commissioned a Precision and Bias (P&B) study by an independent laboratory to determine, in part, how soon an RH sensor could return an accurate, actionable result. The P&B study tested RH sensors from six different manufacturers. The researchers took readings from all the RH sensors at the 1, 2, and 4-hour marks and at 24, 48, and 72-hour marks. Their analysis of the tests found that the readings taken at the 24 and 72-hour marks were statistically equivalent, which is to say they were virtually identical despite minor variations. The pair of readings fell within the acceptable range set out by the RH standard. Thus, this study demonstrated that properly conducted RH testing in the field yields actionable readings at 24 hours. Further studies verified these results, which led the ASTM committee to update the F2170 standard to reflect the latest scientific findings. Now, official, documentable RH readings can be taken at just 24 hours. The trajectory of scientific research into the RH test method has consistently contributed toward our understanding of how moisture moves through concrete and what metrics best serve as accurate, relevant indicators of the slab’s true moisture condition. In contrast, research into other quantitative methods of moisture measurement in concrete has shown that they are not reliable in providing one very critical data point: the amount of moisture that the finished floor will “see” after installation when the slab is effectively sealed and moisture can no longer evaporate from the slab’s surface. The MVER test is not only less reliable than in situ RH testing, but it also requires a wait of 72 hours before obtaining results. For one popular surface-based quantitative test, the moisture vapor emission rate (MVER) test (also known as the calcium chloride test), research has clearly shown that it yields a high rate of false results, even on concrete that’s been in place for years. You can read about the details of the PCA’s testing of the MVER test on page 34 of this recent article in The Construction Specifier. 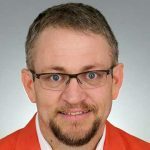 The bottom line is that simply employing a quantitative test doesn’t necessarily mean that the right metrics are being measured. The MVER test measures the vapor emission rates in terms of pounds released over 24-hour period per 1000 square feet of concrete. While this metric is not entirely useless, it’s not sufficiently reliable for making flooring decisions. Which, if incorrect, could lead to a catastrophic flooring failure. The ASTM F1869, Standard Test Method for Measuring Moisture Vapor Emission Rate of Concrete Subfloor Using Anhydrous Calcium Chloride, requires waiting 60 to 72 hours before obtaining test results. This means that a properly done RH test not only returns more relevant, actionable metrics but now can do so in one-third the time it takes to conduct the less reliable MVER test. And so we must ask: Why would any architect or project planner specify a concrete moisture test other than ASTM F2170? As it should be, the ASTM F2170 requirement to wait 24 hours could actually be considered somewhat conservative. In my work at Wagner Meters, I’ve consistently seen concrete moisture test results taken after one hour that tracks remarkably closely (within 3 to 5 percent) the readings taken at the 24-hour mark. Now, no one can actually move forward at the one-hour mark, but RH test results at one hour often give sufficient indication of what to expect. Whichever way the readings are trending, you can immediately discuss, plan, and prepare for the project’s anticipated next steps. Trending in the right direction: If readings show that RH levels are trending toward meeting manufacturer and project specifications, all resources needed for the project’s next steps can be brought together, including scheduling the flooring contractor for the days needed, and ensuring that the flooring and other materials are on-site and ready for use. In this way, the flooring installation can begin without unnecessary delays. Trending the wrong direction: On the other hand, if readings show that the RH percentage isn’t within the manufacturer’s specification, discussions can begin in earnest about the possibility of utilizing mitigation measures. Project stakeholders can explore options based on what the readings indicate about the concrete’s moisture condition, the environment of the slab, and other variables. If the decision is to use mitigation products, preparation for using them can begin immediately, instead of waiting up to 72 hours. The updated ASTM F2170 standard now allows official, documentable readings at 24 hours. No matter how the RH results are trending, being able to take action after waiting just 24 hours instead of 72 hours is a game changer for moving projects forward in a timely, cost-effective, and safe manner. If test results show that moisture levels are sufficiently low to ensure a successful installation – great, you’ll gain maximum benefit from the new, shorter time frame for RH testing. But even if things aren’t going according to plan, you’ll still benefit since you’ll now have an additional 48 hours available to put in place possible mitigation steps for the excess moisture. 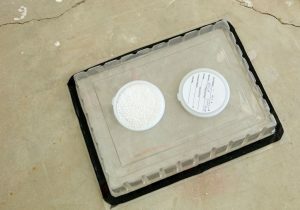 Either way, the RH test gives you valuable information about slab moisture condition faster than other test methods. Your obvious approach for taking full advantage of these benefits is to specify the use of ASTM F2170 directly in the project documentation. You’ll want to avoid giving the GC or the flooring contractor the latitude to choose a different, less reliable moisture test method. The 2018 update to the ASTM F2170 standard will shave two full days off any project timeline. However, it is important that you specify the in situ RH test in your project documentation, otherwise, you can’t know for sure that the project team will choose RH testing and take advantage of the new, shorter testing window. 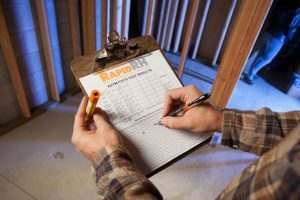 General contractors and flooring professionals should be excited about the accelerated time frame that the updated RH test standard allows, as it will help them focus their time and resources more efficiently in getting to project completion. The latest RH test research, combined with the publication of the revised ASTM F2170 standard, gives assurance of being able to plan and act based on a 24-hour waiting period while minimizing the risk of a moisture-related flooring failure down the road. Shorter timelines help set the stage for greater project profitability. The new 24-hour RH test window is a “win-win-win” for everyone involved. GCs and flooring contractors can improve their utilization of project resources. Architects and specifiers can be confident that the right RH test standards get used for accurate results within a faster time frame. And clients can enjoy beautiful, resilient concrete floors for years into the future. Carrier, R. E. (1971, February). Concrete curing: a new approach. The Construction Specifier. Gause, G. R., & Tucker, Jr, J. (1940). Method for Determining the Moisture Condition in Hardened Concrete. Journal of Research of the National Bureau of Standards, October. Kanare, H. M. (2005). Concrete Floors and Moisture. Skokie, IL: Portland Cement Association. Powers, T.C. (1958). Structure and Physical Properties of Hardened Portland Cement Paste. Journal of the American Ceramic Society, 1-6.